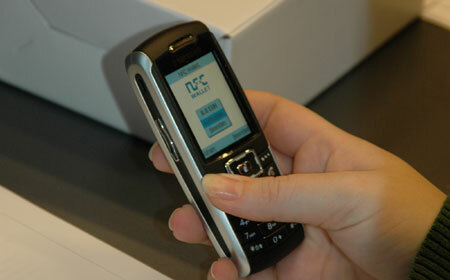 The NFC Trial in Hagenberg has been launched in November 2006 und is running until July 2007. 100 subjects (50 students and 50 professors, lecturers and employees of the Upper Austria University Of Applied Sciences) have been given NFC enabled mobile phones to test and evaluate the services implemented. The NFC device chosen was the Samsung X700n. The handset comes with a PN531 NFC chip form NXP and is also equipped with a SmartMX featuring Mifare und JCOP. One nice feature of this device is the possibility to start J2ME applications thru push registry when the SmartMX is read by an external reader. For detailed information please contact us via email.